In only the past couple weeks, it has been incomparably some of the best in my life! 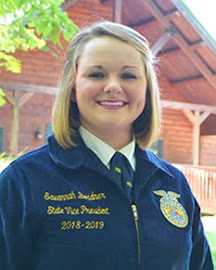 Not only have I gotten to travel all across the state, but I have also had the opportunity to meet so many members with the same passion for agriculture that I have! No matter the area of the state or the size of the school, I have been amazed at the amount of potential in students and how much they enjoy getting to spread their wings and meet so many new friends. 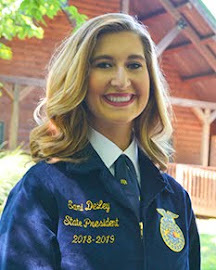 Not only did all of this traveling let me form new memories with FFA members, but the team got to work with so many students who are not yet in FFA. By visiting different schools every day, my teammates and I saw so many different school sizes, agriculture programs, and agricultural students. Some schools created a feeling of anxiety as we approached a school culture we may not have known; however, some of those schools had the best students! I can recall a story of a time that made me know why I do what I do. At a small high school, my partner Skylar and I were presenting to a young Intro. to Agriculture class. One student in particular was very active with our presentation and always volunteered to help with our activities. 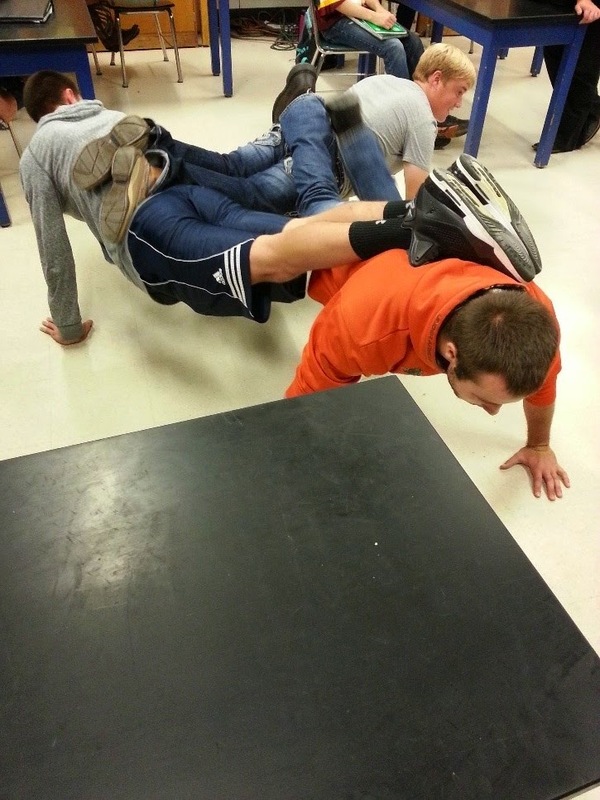 I was very impressed by their attitude and energy and kept asking myself why they were not in FFA. 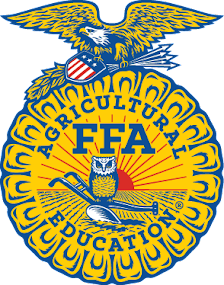 After class, I spoke to the student and they explained that before our presentation they did not know what FFA was and thought it was going to be a boring activity to get involved in. 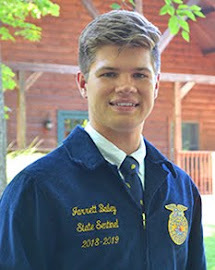 After the student and their friend walked Skylar and I to the office, they turned away and the student’s friend asked if he would join FFA now that he had seen our presentation. As thought there was a switch that turned on, the student replied with a confident yes. 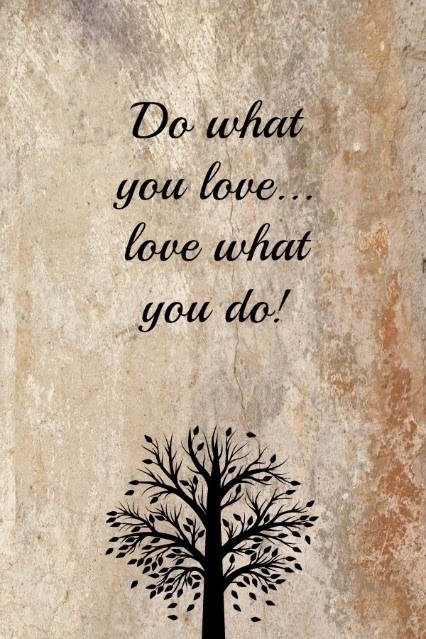 Do what you love, have a passion to leave a difference, and never stop believing in yourself. Chapter visits have given me the remarkable opportunity to meet so many amazing students that have taught me to always have a positive attitude, because you never know who you will impact. Who will you impact today by doing what you love? What is your something bigger? Life here at the house is definitely in full swing. Together we are planning LDW, developing curriculum, and scheduling chapter visits; all while doing our day to day chores such as running to Wal-Mart for nothing of severe importance or picking up popcorn off the floor from the movie night the night before. 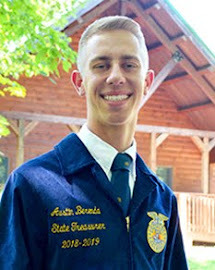 Life as a state officer so far has been one of memories, friendships, and a family that will last a lifetime. 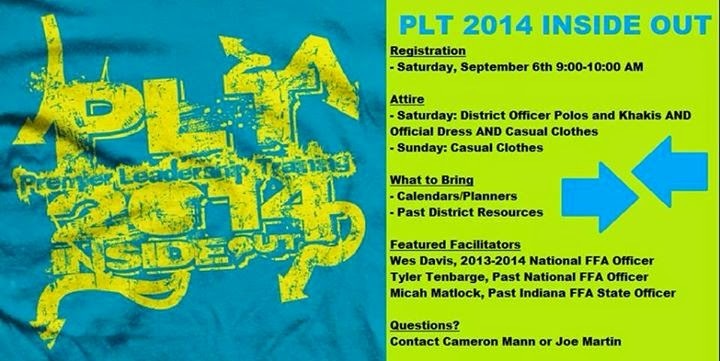 If you didn’t already know, PLT was this last weekend. 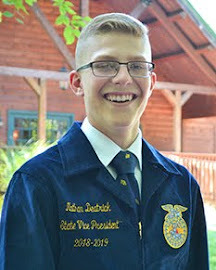 Be sure to ask your district officers about how our National Officer Candidate Cameron Mann facilitated an amazing conference. My team and I had only two tasks at PLT: Hold an Executive Committee meeting, and prepare flags ceremonies. Flags have always been one of my favorite parts of conferences. As a student, the way that they are able to make you think deeply, honor our soldiers, respect the flag, and take pride in our freedom in America is what shoots them to the top of my list. This time it was a little different, and here is the story why. It was the night after the dance, bed checks had been completed and the team had gathered in the house to wait for Mr. Martin so that we could practice our flag ceremony for a final time. As we hashed out the details on where we were going to stand, how we were to walk in, and who was to put up the flag, it all got a little muddy. So naturally—at 1 am—we all threw on some shoes and headed to the flag deck. As I knelt there on the deck, wind blowing, not a cloud in the sky, and a big full moon overhead, a wave of emotion hit me. Now, it wasn’t like a sad crying emotion, but rather that emotion saying that I was here, I have reached my dream, now what? In that single moment I felt brave, confident, and part of something bigger. I then realized that we all are part of something bigger. But what is this bigger thing of which you are a part? Maybe it is a sports team, or a church group, or an organization that nationally has nearly 600,000 members. What is your something bigger, but more importantly why is it there? 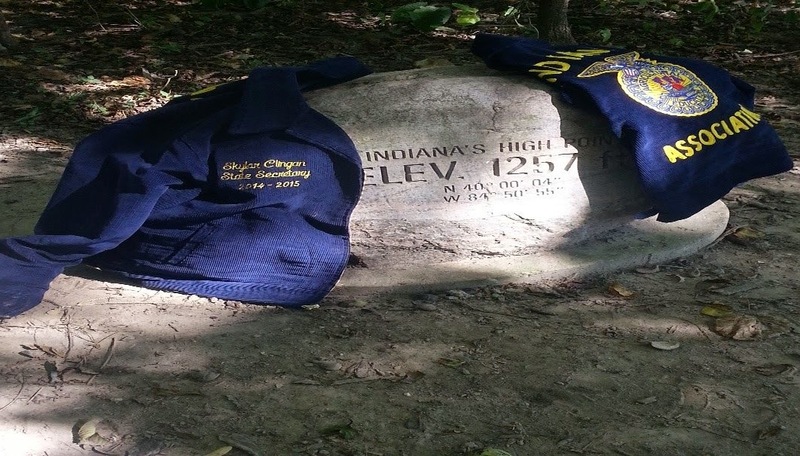 For me my something bigger is FFA—Indiana FFA. But, why? 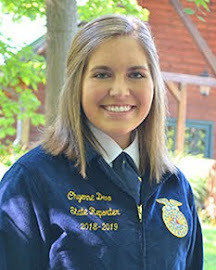 FFA is my something bigger and serving is my why. 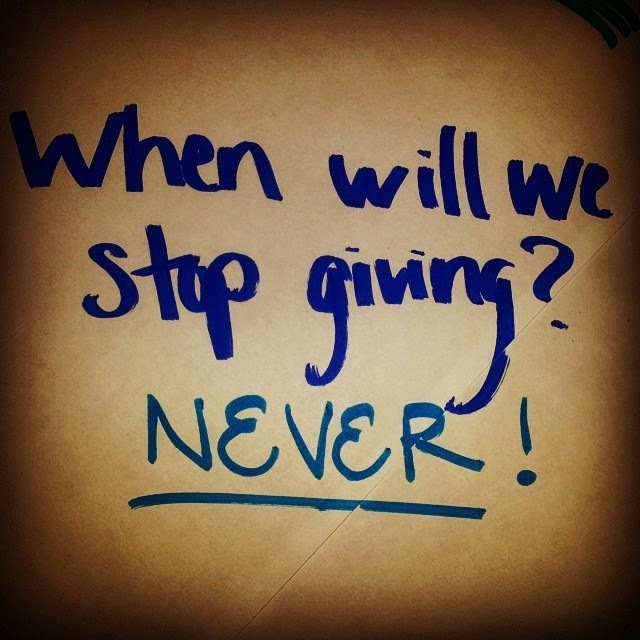 Through the rush that has been these last 11 weeks, time has escaped me, and I have been so caught up in the next item on the list or the next event on the schedule that I seem to have been overlooking what is truly important in life. It not the routine, or the schedules, or even the fashion fads that dictate our life. It is our why. Take a moment to just listen and observe. Are you missing the glowing sunset as it fades over the open field of corn? Are you passing by that smell of a fresh cut alfalfa field? Are the stars in the sky just a distant memory? Are you forgetting what your something bigger is? I challenge you. Take a moment, for it…could change your life. It is finally September. I can practically smell the pumpkin spice lattes and see the beautiful color change in the landscape. With the month of September comes a busy schedule for the seven of us residing in the state officer house. 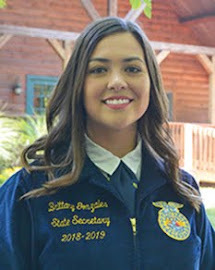 The next 30 days hold a whirlwind of conferences such as PLT (Premier Leadership Training), LDW (Leadership Development Workshop), chapter visits, district kickoffs, and more. Before that whirlwind has a chance to sweep us off our feet, however, we had the pleasure of spending a couple days at the Hickey’s lake house. The weather was a perfect 75 degrees and sunny for the entirety of our visit. Between enjoying watching the boys be beaten to a pulp by the water as they went tubing and soaking up the sun with the girls (and not getting burnt I might add), the getaway was much needed and much appreciated. So many memories were created on this trip and there are so many stories I could share, but there is one that is a standout in my memory. On our second day we started the day off right by being on the water. 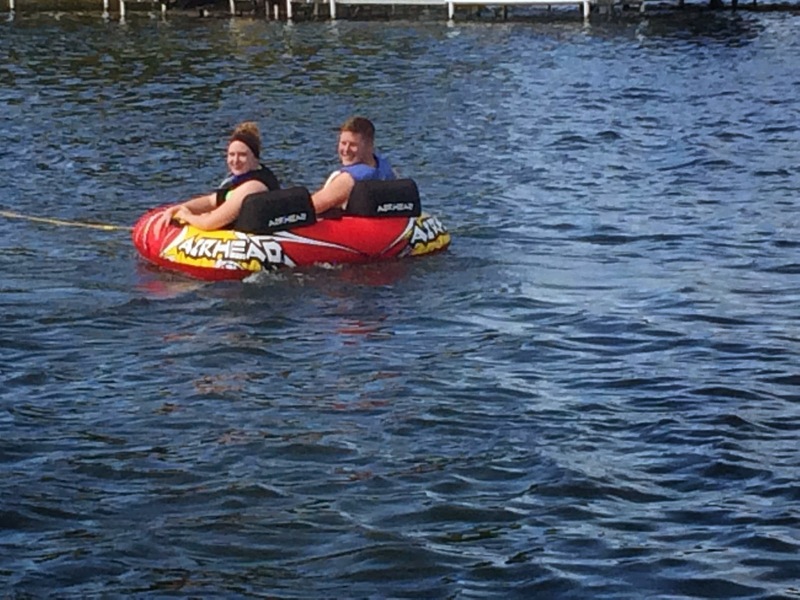 The boys not only conquered tubing, but also expanded their horizons to skiing as well. After completing both feats, the next item on their checklist was to get us girls to join them. Now, you’re probably wondering why we would be hesitant to join them. In answer to that question, all I can say is that—as much as I love them— the boys act exactly as brothers would, and would not flinch at flipping a tube on purpose to see what would happen to us. Lindsey was the first one that caved and went with them (I learned my lesson on the first day when I went with Skylar). I was a little surprised that she went because she was on the fence about it. It took a lot of convincing, but what finally drew her in was when Skylar said “Come on Lindsey, I promise I won’t flip the tube on you. If you go with me I won’t let anything bad happen.” Later that evening after dinner we were all clustered on the couch (because we seem to like trying to fit seven people on one piece of furniture) eating Oreo ice cream and watching TV. It was a completely ordinary situation, nothing lavish or lustrous to it at all. It hit me as I laughed at the story Derek was telling and joked with Lindsey about her upcoming birthday, these six people are my family. I found a quote by an anonymous author that states “The bond that links family is not one of blood, but one of respect and joy in each other’s life. Some of the closest family members do not grow up under the same roof.” This couldn’t describe our team any better. When I was inducted into office on June 19 I was so excited not only for the year, but for moving in with 6 other amazing individuals and the potential of gaining 6 new best friends. I so underestimated what was to come. Not only did I gain 6 best friends, I gained 3 sisters and 3 brothers. None of us grew up under the same roof, and a couple of us didn’t know each other all that well when we were elected, but now it seems weird when we’re not all together. Our family may seem a little quirky to some, but for us it’s just the right blend of sassy and loving. 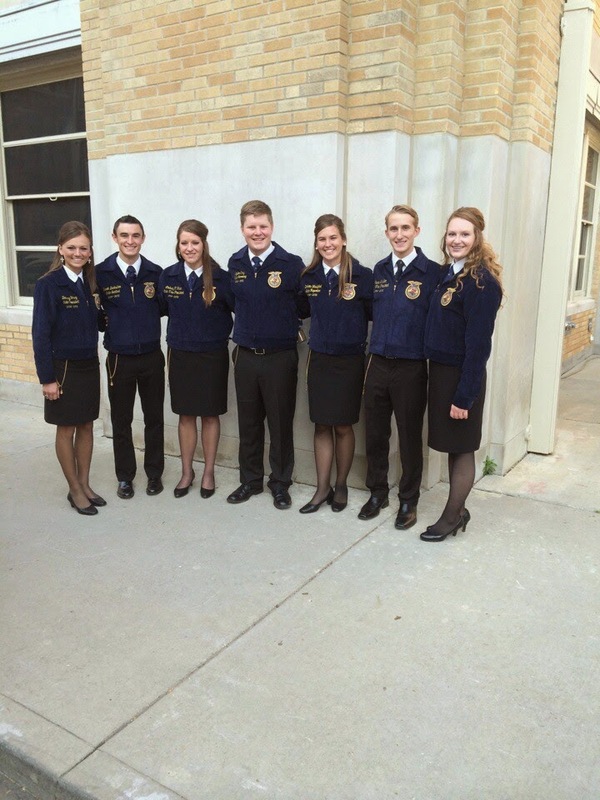 Roughly 74 days ago I was elected to serve Indiana FFA with 6 outstanding individuals. Along the way our team became a family. We may not be related by blood, but we all bleed blue and gold and for us that’s enough to claim ourselves as brothers and sisters. As I return from this Labor Day weekend I realize just how blessed I am to have my actual and adopted family. I’m looking forward to returning and continuing on this crazy and breathtaking journey of state office with my team! Wishing you all a great week and hoping you enjoyed your long weekend!